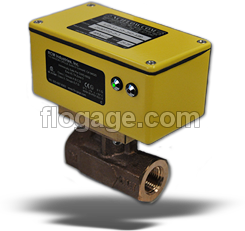 The Flo-Gage can be fitted with a 4 wire transmitter to provide a 4-20mA (linear) output signal (Option W), 0-1000 Hz frequency outputs for remote totalization (Option Y), high/low relays for signaling flow conditions (Option X) or Option Z combines option W, X and Y in one unit. Our 2 wire loop powered 4-20mA (square root) output signal (Option W2 or W3) with either an indicating or non-indicating transmitter. Our flow transmitters for liquids and gases are available in threaded and flanged connection. 24Vdc power supply required (PS-24). The W option provides a 4-20 mA dc output for interfacing with remote indicators, controllers, computers and alarms. Option W uses a solid state sensor (Hall Effect) to detect the position of the pointer level mechanism. 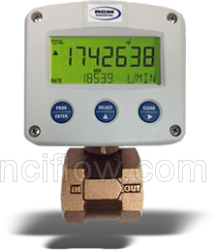 Low flow cutoff drives the output to 4 mA when flow drops below approximately 30% of full scale. Output is linear with flow rate. 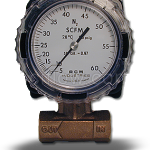 Options W2 and W3 use a solid state strain-gauge to sense the differential pressure directly. 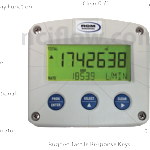 Option W2 includes a mechanical flow indicator. Option W3 does not. Conditions which could cause the mechanical movement zero to shift will not affect the output from this transmitter. 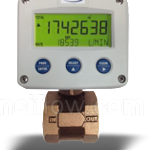 This transmitter provides improved rangeability at low flow rate and accordingly, does not include a low flow cutoff. Output is proportional to flow rate squared (r2). Square root extraction is required in the receiving device. 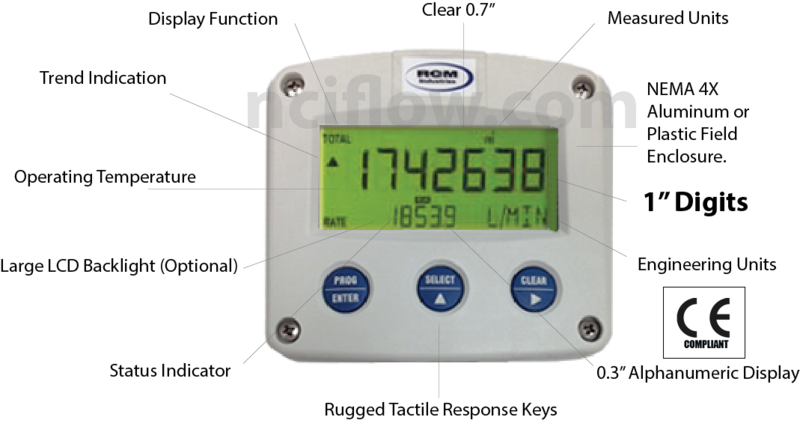 The digital display flow meter is a 2 wire loop powered 4-20mA DC indicator that displays a flow rate and total. On-screen engineering units are easily configured. Password protection and 16 bit A/D resolution. 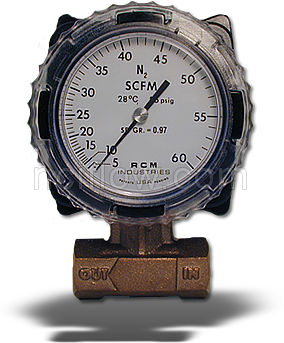 A New built in wet/wet differential pressure sensor is protected by an isolated stainless steel diaphragm and provides a 4-20mA DC signal to the display. 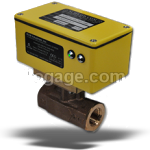 The enclosure is IP67 / NEMA 4X rated which further enhances this models capability. Available in threaded or flanged connection and bronze or stainless steel construction.